One would initially be so surprised to learn of a craft beer scene in Kiev. But, when really thinking about the revolution that Ukraine is going through, it really isn’t as startling as meets the eye. Don’t get me wrong, you won’t find the quantity and diversity of the craft beer scene in the United States, United Kingdom, or even that of the Scandinavian countries, but the scene does exist and is beginning to burgeon. I had previously written an article on here regarding why I find it so important to support businesses like craft beer or specialty coffee when I travel, particularly to this part of the world. I really made an effort to do this in Kiev because I know how important it is to support the creative minds at a historical turning point like the one Ukraine is currently going through. 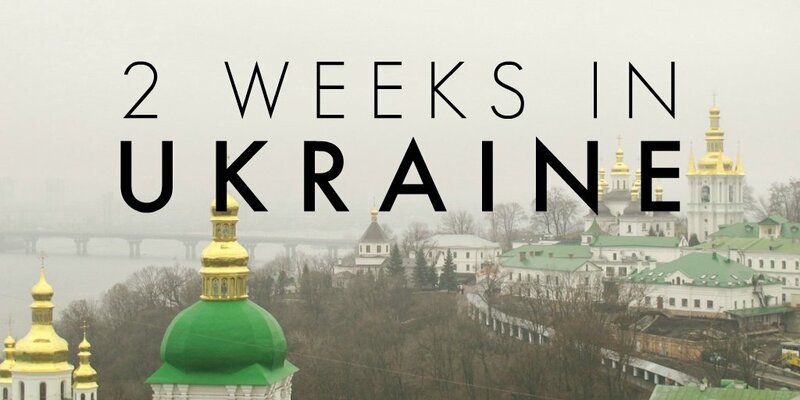 Before traveling to Kiev, I spoke online to craft breweries and beer bloggers throughout Ukraine to get an idea of where to get the good stuff in Kiev. They did not disappoint and gave me a list that was a lot longer than I expected. I knew I wouldn’t get to go to but a few of the places, but there is no harm in sharing the rest on here for future travelers (and for myself when I get back to the city)! I have also included one microbrewery on the list because the one I went to was very deserving of being on here. The scene in the capital city is growing each and every day, so if you know of any places worthy of being on this list- please add in the comment section! Thanks so much! How odd that my first place listed is actually not a craft beer establishment, but rather a microbrewery? Nevertheless, the beer here is good, in excess, and is affordable. I purchased a flight of six beers for around $1. Yea, that’s right. Each was a bit large for a flight, but it was nice to try all of the beers they make such an affordable price to determine which one was my favorite. I preferred the caramel best. You can find Pivarium at Peremohy Ave 31 via Metro stop Politekhnichnyi Instytut (Політехнічний інститут). To find out more about Pivarium, be sure to check out their Website, Facebook, or VK. Syndicate is a place I wanted to go to so bad but ran out of time. I passed this modern and classy looking bar on my way to get some Uzbek food nearby. 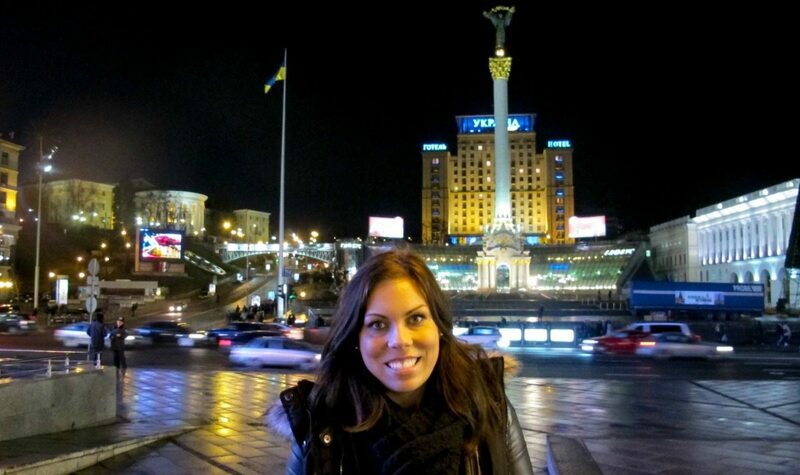 I never went back as I ventured into another part of the city before catching my flight out to Dnipro. 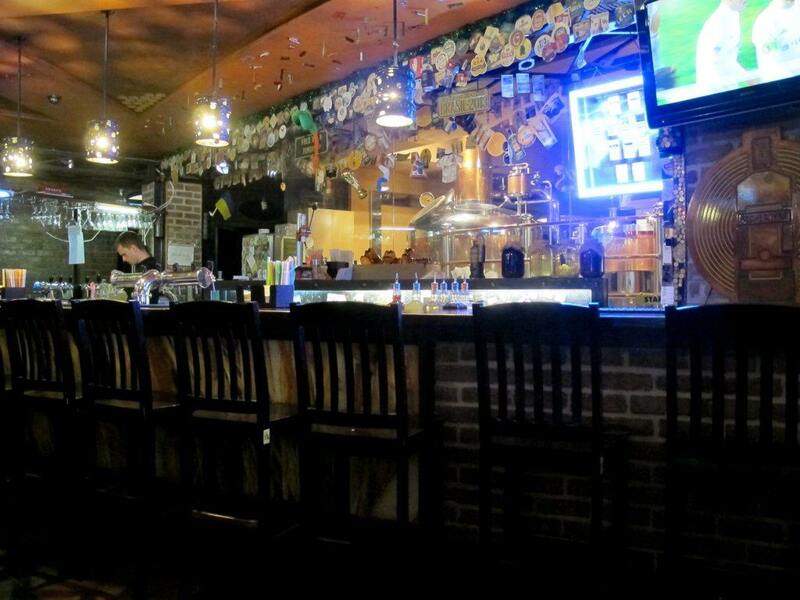 But, Syndicate is a major craft beer bar and restaurant in Kiev and deserves a visit. Even from the exterior, I knew I would enjoy this bar. I will have to save it for next time, I suppose. 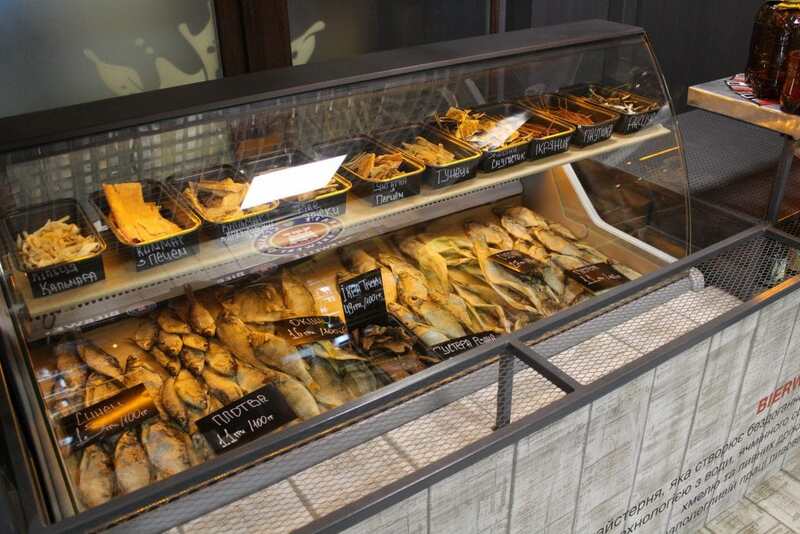 You can find Syndicate just a stone’s throw away from Metro station Arsenalna (Арсенальна) at Butyshev Ln 16. To gather more information about Syndicate, check out their Facebook. 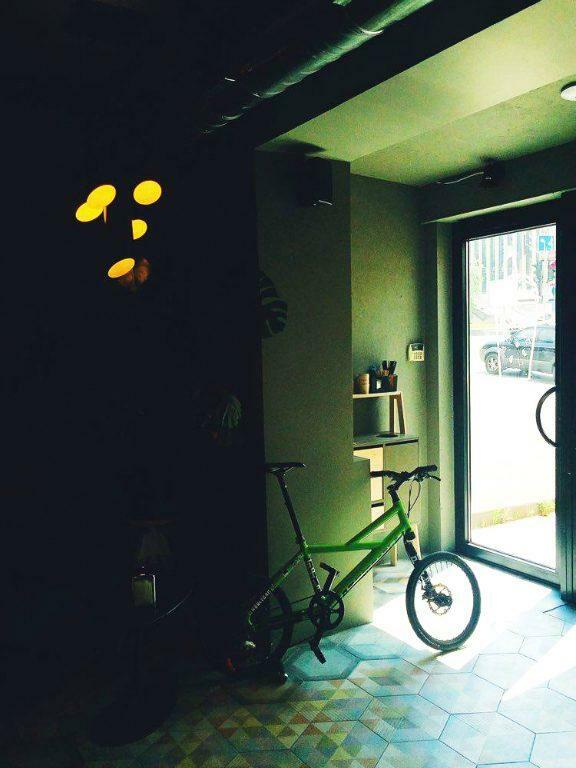 Bimbo is one of Kiev’s design successes and is a specialty coffee and craft beer mecca. 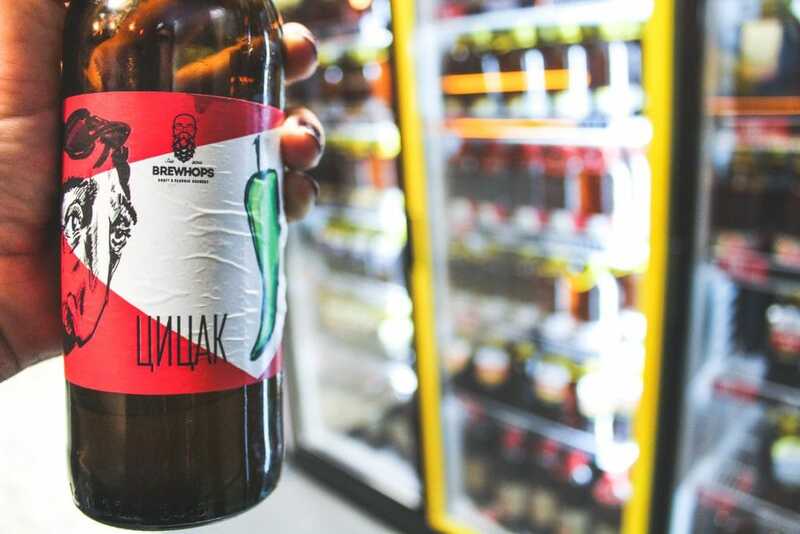 I am not listing specific beers in conjunction with ‘most’ locations on this article as things are always subject to change, but they do carry some of Ukraine’s finest craft beers. 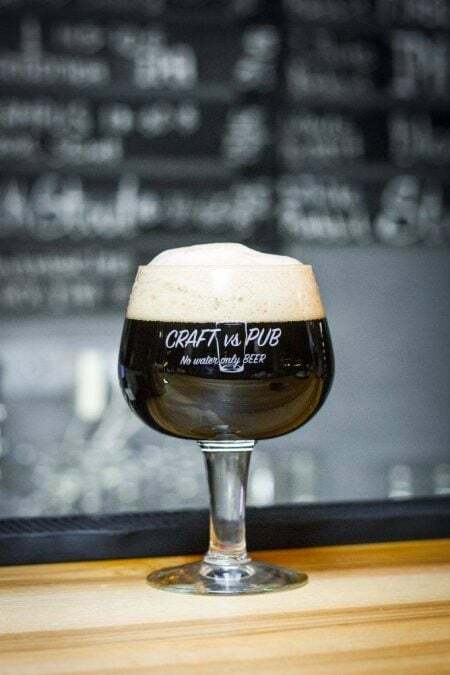 To contradict the previous sentence and name something specific- they currently have a collaboration brew that is a Coffee Milk Stout with Woodstone Brewery (Zaporozhye). I can’t wait to get my hands on this. Bimbo is located a bit away from the tourist hubs and is a true local gem. 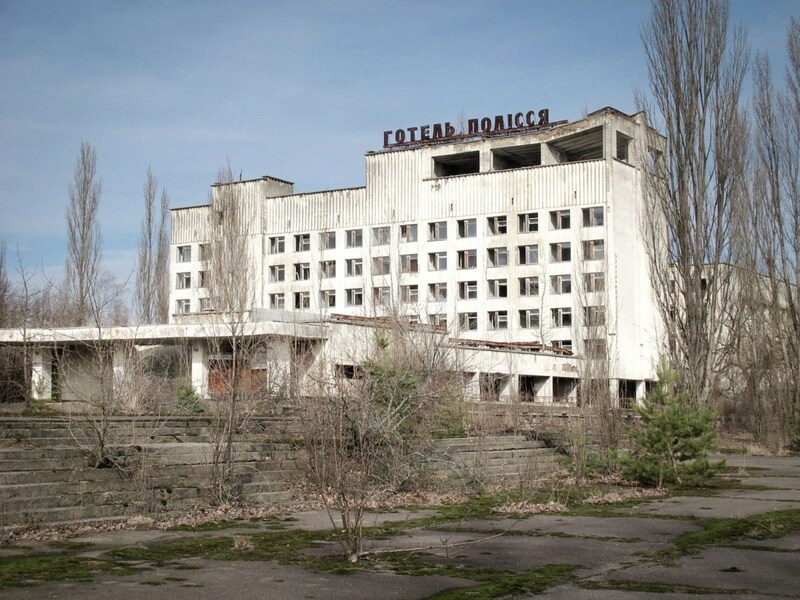 But tourists and travelers definitely should check this place out too! Good coffee and good beer are hard to come by- let alone in the same establishment. Be sure to use this article or their Facebook page for location information and not what you may see floating around on Google as it is not accurate (all has been confirmed with the owner). 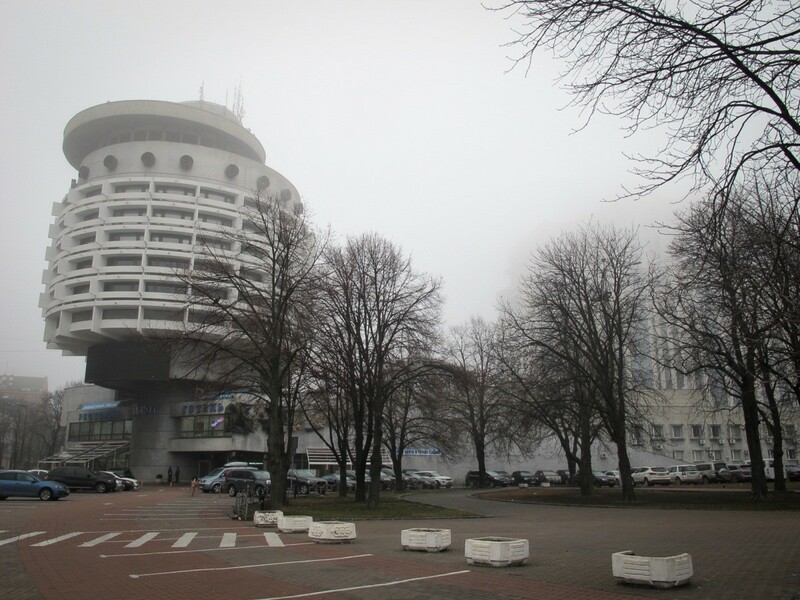 Bimbo is located at Volidynyro-Lybidska St 16 and can be accessed easily via Metro station Palats “Ukraina” (Палац “Україна”). You can find out more about Bimbo on their Facebook. 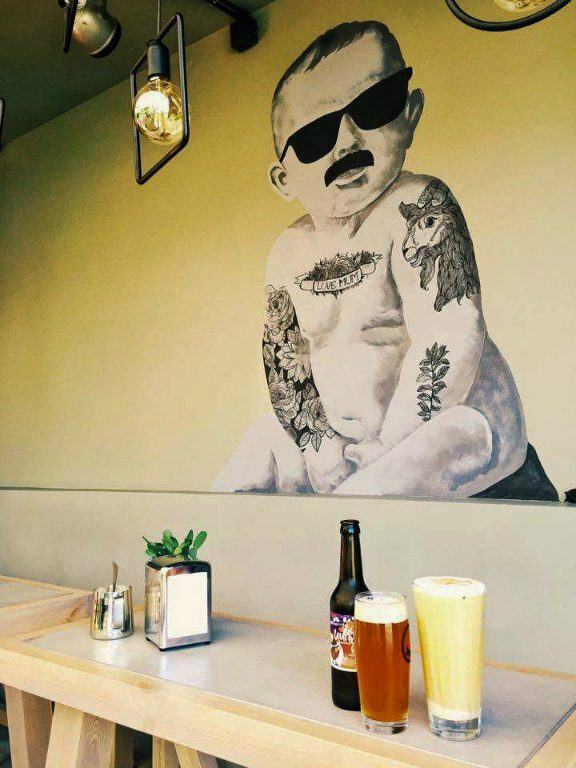 Favorite Uncle (commonly found online by using its Cyrillic name of “Любимый Дядя” is an eatery and bar that opened at the very end of 2014. They serve breakfast, brunch, and food with a Middle-Eastern influence. And, naturally, they serve craft beer. Definitely a place to check out for intricate design aesthetics and a feel of the new Kiev. 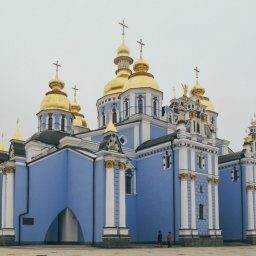 To locate Favorite Uncle, take the Metro to either the main station Vokzalna (Вокзальна) or nearby station University (Університет) and walk to Pankivska St 27. 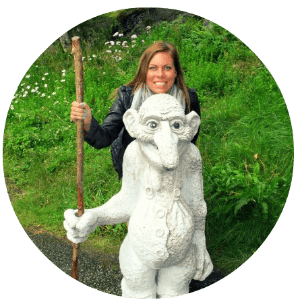 To find out more about Favorite Uncle, check out their Facebook or Website. Pilsner Bar was a late night stop and one that was a little closer to where I was staying. While not minimalistic or into fancy decor, this bar is underground and has a rustic charm about it. And they really know their beer. 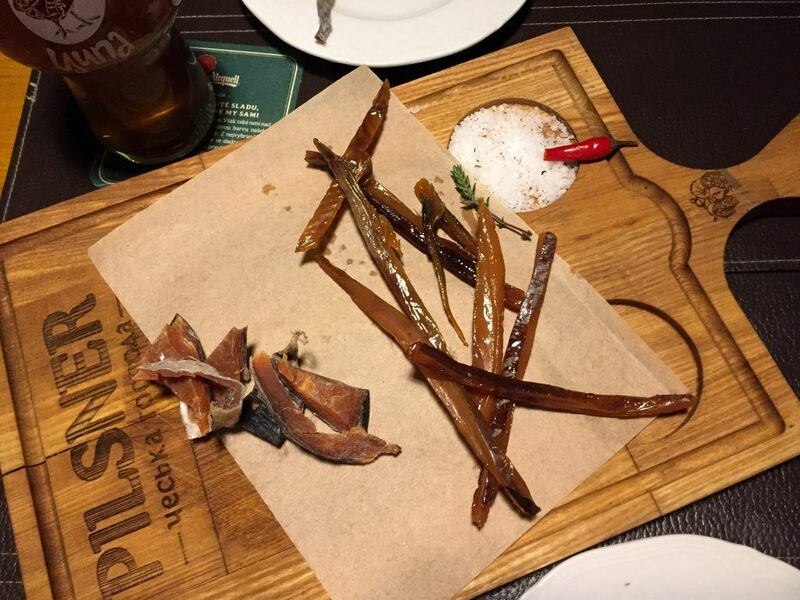 In addition to the beer I drank here (one from a brewery called “Little” or ЦИПА from the Transcarpathian region), I had probably some of the best dried fish beer snacks I have ever tasted. You can find Pilsner Bar located at Pushkinskaya Str. 20 by taking the Metro to station Teatralna (Театральна). To find out more about Pilsner Bar, check out their Facebook page. 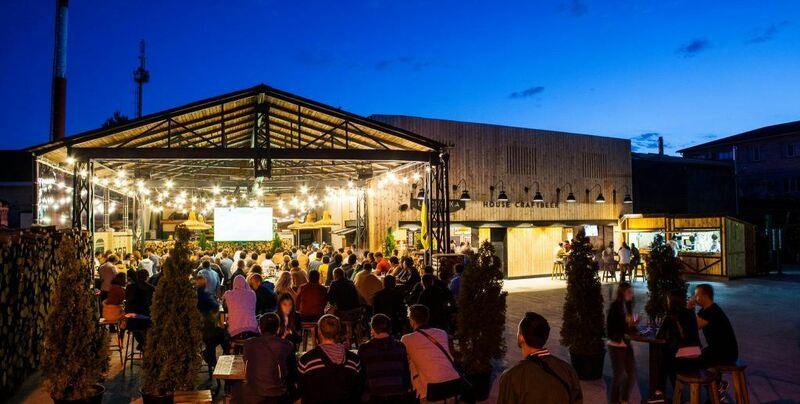 Lisopylka is located across the Dneipr from the main part of the city and is teeming with local craft beer lovers and those looking to have a good night out in Kiev. They have a massive beer garden and offer an extensive range of Varvar on draft. Varvar is a badass brewery, FYI. Established in 2015, this truly is beer paradise and easily one of the best bars in Kiev. 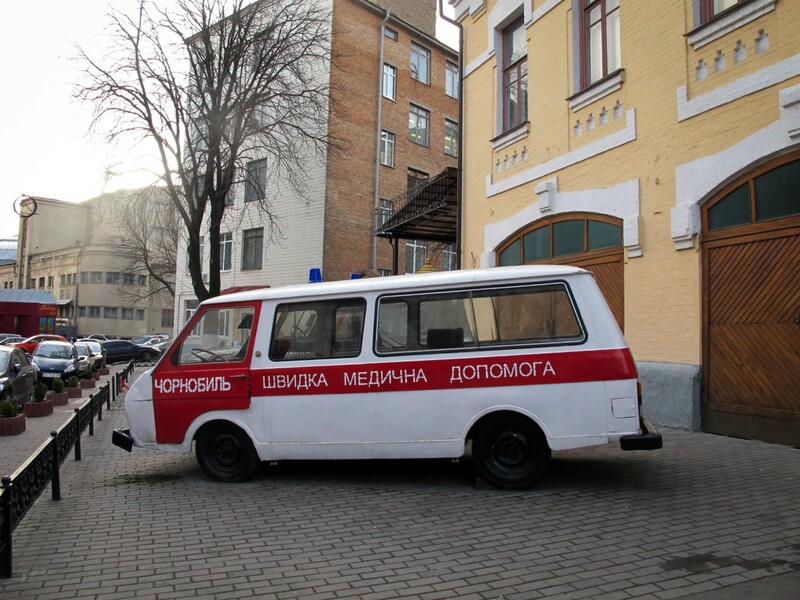 You can find Lisopylka at Starosilska Str 1А by taking the Metro to station Darnytsia (Дарниця) in the Dniprovs’kyi District. To find out more, check out their Facebook page or Website. 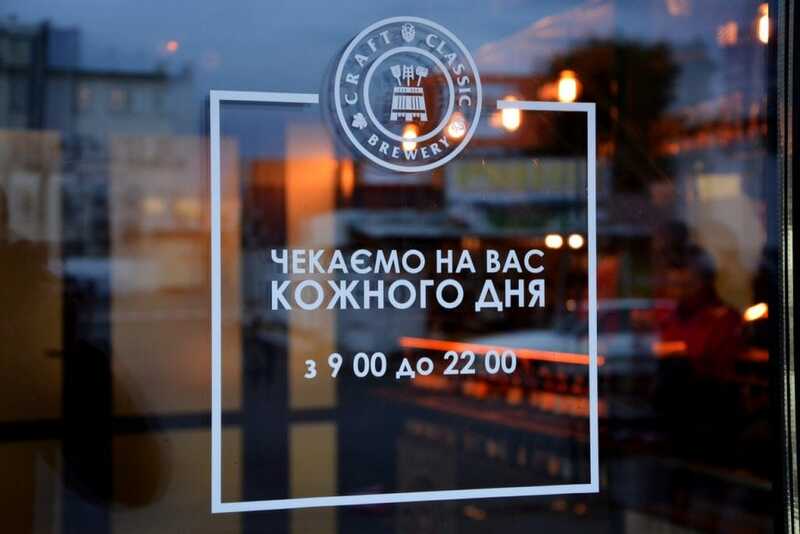 I had heard about Craft vs. Pub right after I left Kiev this trip (it opened the same month) and was determined to get back there and check it out on a future trip. Fortunately, I found myself back in Kiev in September and October 2016 and I bolted to check out this pub. The findings were amazing. 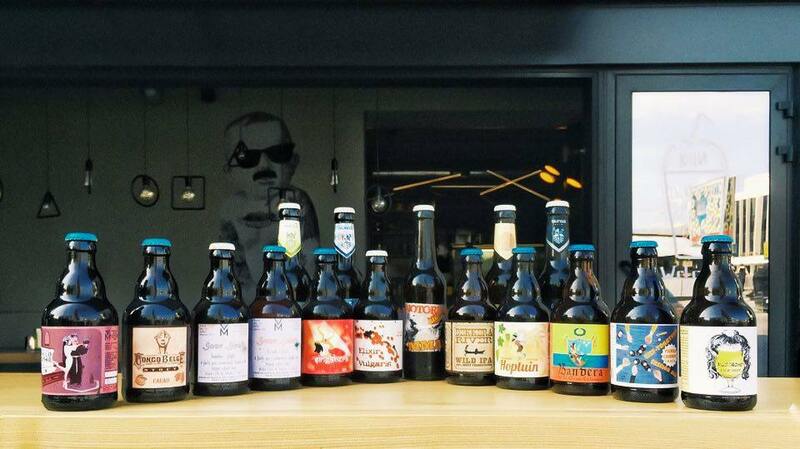 Craft vs. Pub is in Podil and offers a really great Ukrainian selection of craft beers. The bar opens in the evenings and is located slightly underground. I had sensational service here and everyone knew the business and industry of craft beer. Although my photos didn’t turn out so well from here (I blame the fact that I couldn’t stop drinking from their awesome selection! ), please add it to your list! 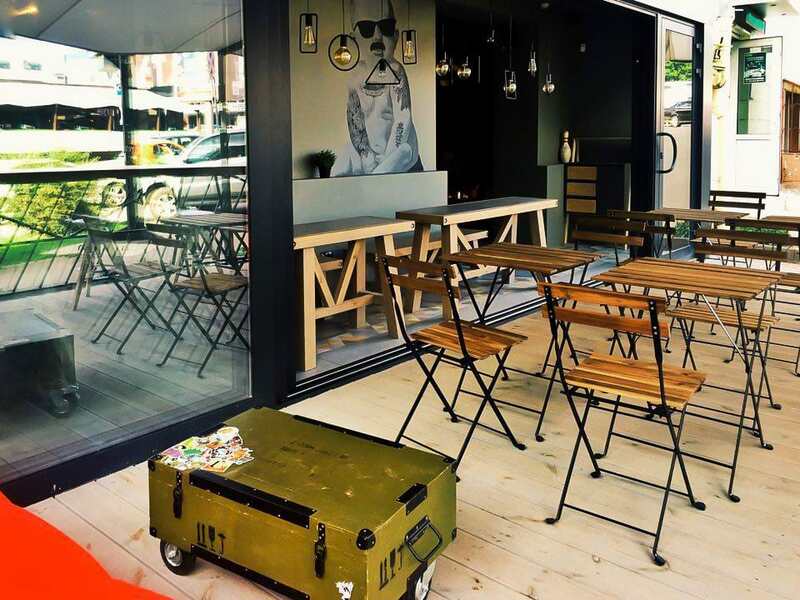 You can find Craft vs. Pub at Nyzhnii Val St, 37/20 by taking the Metro to station Kontraktova Ploscha (Контрактова площа) in Podil. To find out more, check out their Facebook page. Oh, what a surprise of a place that this was! I stumbled upon Bierwelle in the evening when I was trying to locate my marshrutka to Chernihiv. Situated in the ТЦ “BAZAR” near the Lisova Metro Station, this place is a little taproom, takeaway shop, and great place to meet locals. This area, in general, receives no tourism, so imagine my surprise when I discovered a craft beer shop there out of the blue! 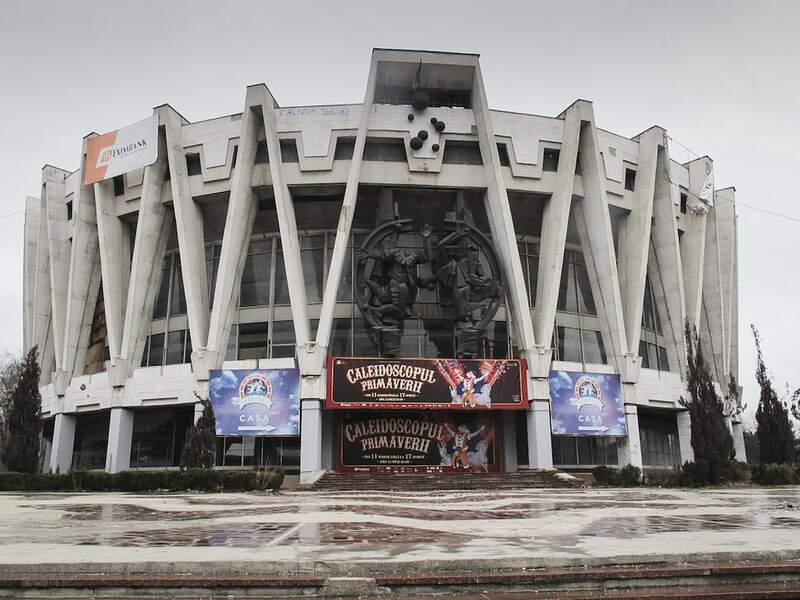 This place automatically become one of the best things to do in Kiev. Bierwelle is a newer craft brewery from Chernihiv (which is where I was headed to at the time) and has a really nice selection of beers to choose from. I’d be lying if I said I didn’t have over six beers here. I chatted away with the staff and everyone was so friendly. They also sell zakuska (beer snacks). 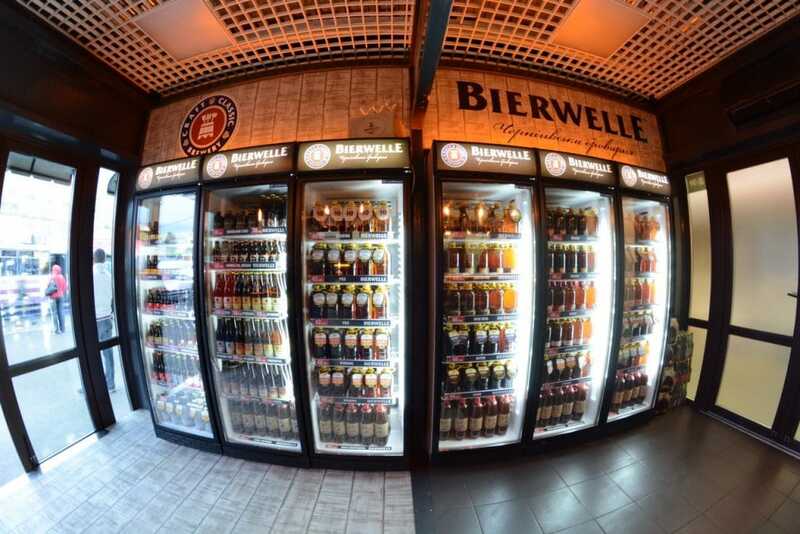 A new addition to the Kiev craft beer scene, Bierwelle only opened a few days prior to my arrival there (September 2016) and has since opened a new shop in Kiev at Gagarin 18. My only complaint regarding Bierwelle is their branding. It is very Paulaner-esque. Like, a carbon copy. I sat at a craft beer bar in Chernihiv curious if others noticed, and they do as I saw a few pub patrons googling “Paulaner” on their phones to show their friends that the labels are virtually the same. Anyway, the beer is good. 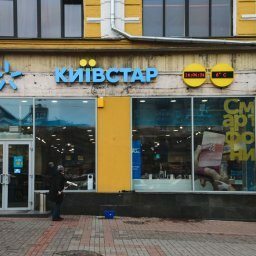 You can find Bierwelle Kiev at the third entrance of the CH Bazaar (ТЦ “BAZAR”) by taking the Metro to station Lisova (Лісова) in Lisovyi Masyv. The exact address is Popudrenka 65. To find out more, check out their Facebook page (which is the main one for the beer in Chernihiv). 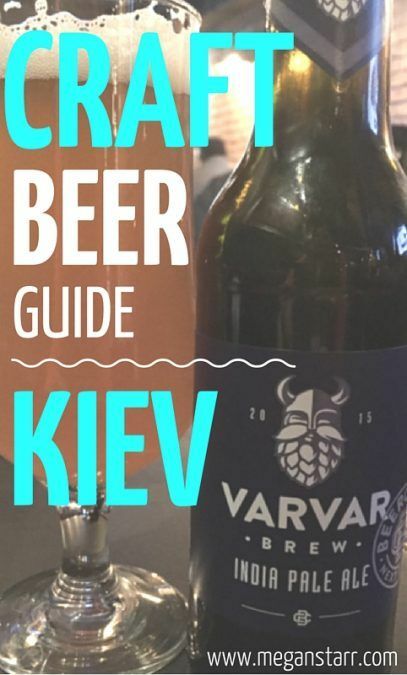 There is no way this post showcases all there is when it comes to craft beer in Kiev, so please share some of your favorites or ones that are not on this list! Beer shops included. I will definitely take the time to check them out when I am in Kiev next time! 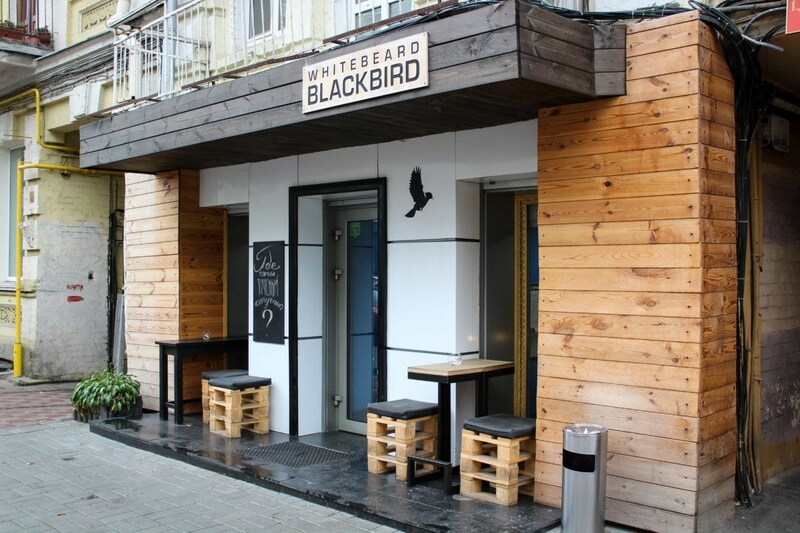 And for those that took the time to read this, but are not into craft beer, I highly suggest you head to Amy’s blog at The Wayfarer’s Book’s post on the best Craft Cocktail Bars in Kiev. This is a live post and will always be updated when I stumble across new craft beer establishments in Kiev once I return. Oh! Such a good idea. I am supposed to go back to Moscow in a few weeks. I should start finding places. I miss good beer. so good to know you liked favorite uncle’s food! and of course- now when im back there im going to change it up and enjoy a cocktail instead of binging on beers :) hope all is well currently in romania! I went to Lovely Uncle based on your recommendation and wouldn’t necessarily call it a destination for craft beer. They don’t have beers on tap (which to me would be the point of seeking out a specific bar – many more places will have beers in bottles) and they only have 4 beers on offer that we couldn’t find on the menu while there with limited Ukrainian (only by looking up the menu afterward did we realize there were beers we could have ordered). This is a really beautiful restaurant with delicious and inventive cocktails, but not so much a beer-lover’s paradise!